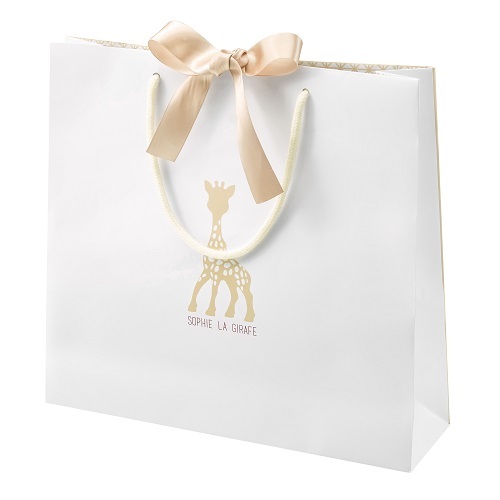 This charming gift set features, an original Sophie la girafe® and a Sophie la girafe comforter with soother holder. The Comforter is perfect for baby to cuddle up with. Its gentle colour and oh-so-soft feel reassure and comfort baby. It is a practical soother holder too, featuring a velcro® fastener to hold baby's soother and a pocket for perfect hygiene. 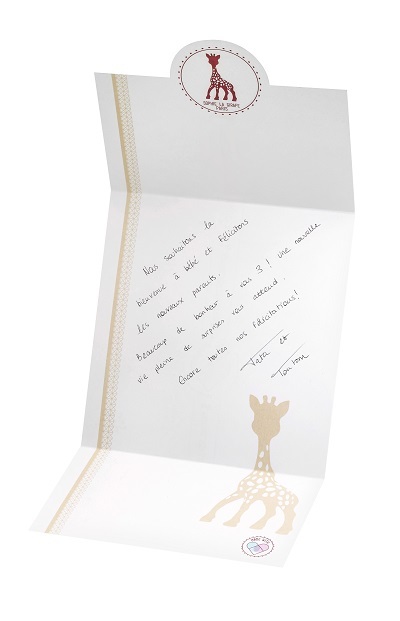 Light and easy to grip thanks to Sophie the Giraffe's head and legs, and the five knots, one in each corner. Baby will love it!